Keep track of student data points with these two snapshot forms. The forms are geared towards the primary grades currently. This form can be filled out year-round to clearly identify different strengths of an individual student. 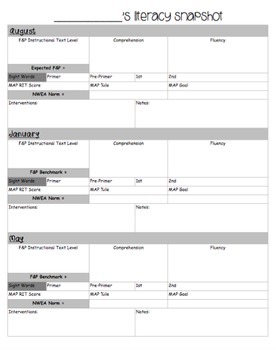 I print out the form and place it into a data binder where all of my students data is collected. 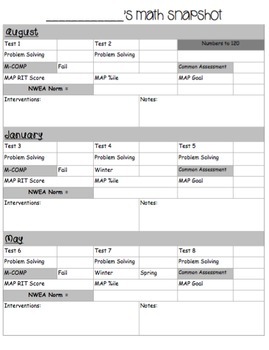 This allows for a convenient, easy to read/understand source when looking at student growth and interventions.